Jersey Airport is, as we have highlighted before, close to being the last site for breeding skylarks in the Channel Islands. One or two pairs still breed on the Blanche Banques but even at the Airport numbers are steadily declining. On Wednesday, 18th June, we conducted our annual survey of the skylarks and meadow pipits at the Airport. This year’s survey was as hard a slog as ever. It is surprising how big an area we cover up and down each side of the runway, but it’s the walk through the longish grass, even when dry, that slows us down the most. 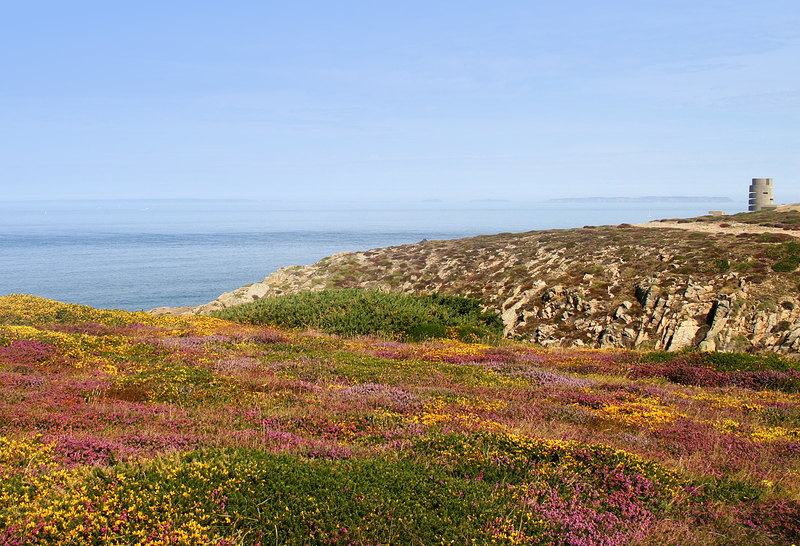 The grass is left long deliberately so as to discourage birds like gulls, pigeons and crows from trying to forage or roost there and become a life-threatening hazard to the planes, their crew and passengers. Grass too long, on the other hand, can become a fire risk which would itself then be a major hazard. 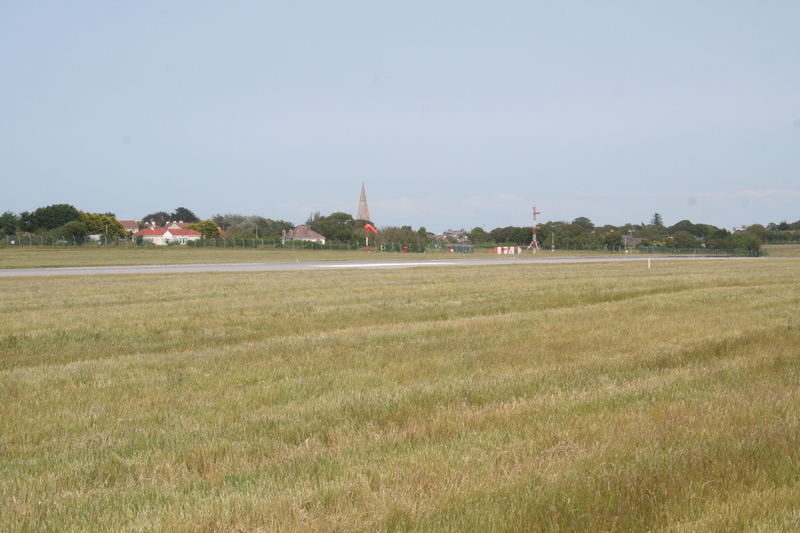 To get it just right, the Airport has to manage the grass sward very carefully. This, luckily, doesn’t seem to discourage the highly threatened skylark, a bird not considered to represent a risk. Once again we received security clearance before we entered the grass area and we donned our high-visibility jackets. We always carry radios to keep in contact with the tower and we sit out incoming or departed planes. That’s another reason for going when the grass is dry! 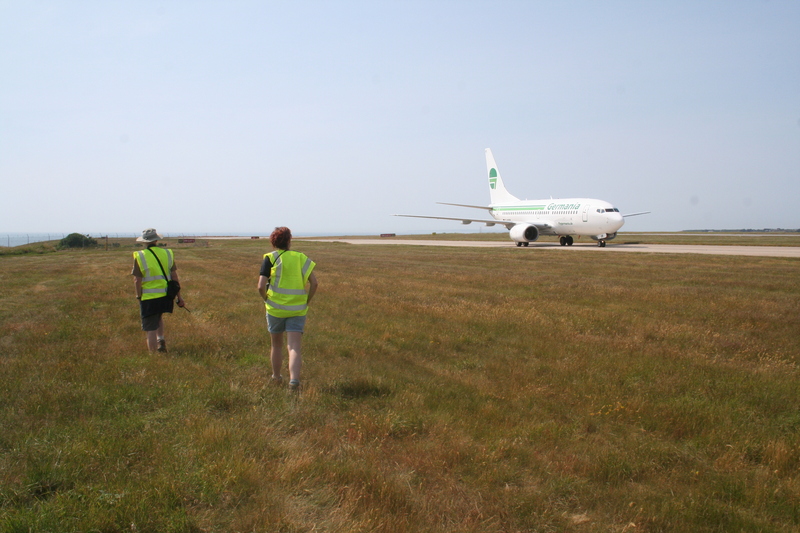 The skylark team this year, again the stalwarts Tony Paintin, Hester Whitehead and Glyn Young, walked the grassy areas of the airport either side of the runway excluding a couple of sensitive areas that the team cannot enter for fear of upsetting some pretty sensitive equipment. Skylarks are never very easy to count as some birds can stay put in the grass while others fly up and sing at us. We walk out in a line and record each lark and pipit. Whatever the failings in our technique are though, having used the same methodology since 2006, trends become obvious. This year, the best we can say is that things haven’t got any worse. 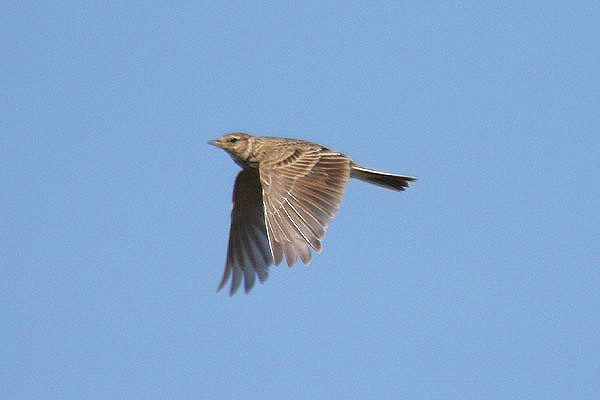 We counted 26 larks, for the second consecutive year. Fewer birds were singing but maybe we shouldn’t read too much into that as only four were singing on our highest count (in 2011). So, as we do each year, we look forward to next year’s count to see if things might have improved. 2014 has been a good year, seemingly, for many breeding songbirds.